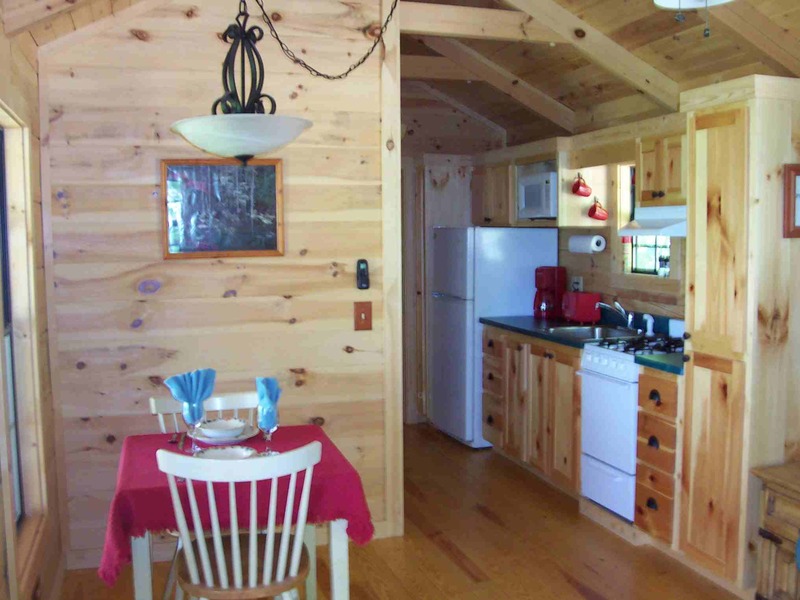 Asheville area cabin rentals in Western North Carolina, near Asheville, Historic Hendersonville, Chimney Rock, Lake Lure, the Blue Ridge Parkway, the Biltmore Estate, and Flat Rock. 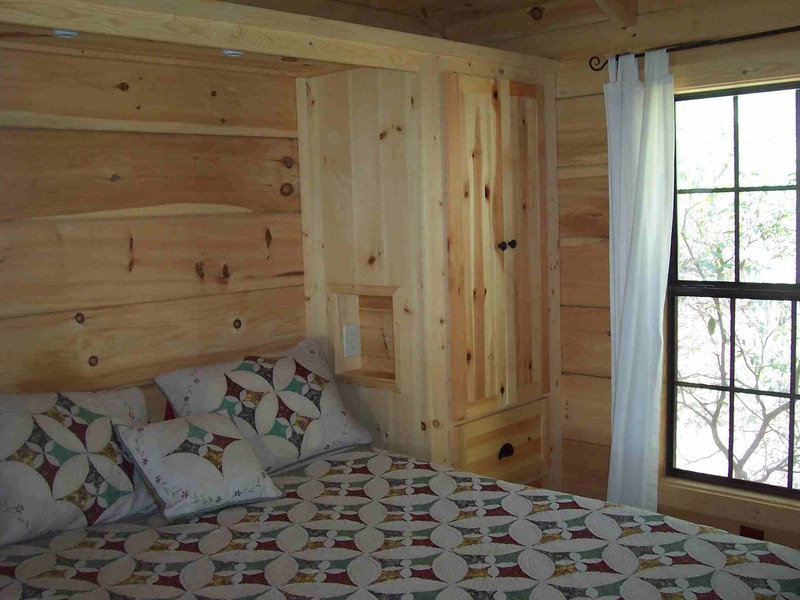 Four romantic one bedroom log cabins located on 20 partially wooded country acres, each with a gas log fireplace and a hot tub on the covered porch. 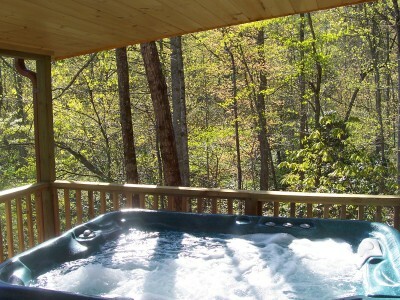 These Asheville area cabin rentals are near Lake Lure, Historic Hendersonville, and Chimney Rock Park. 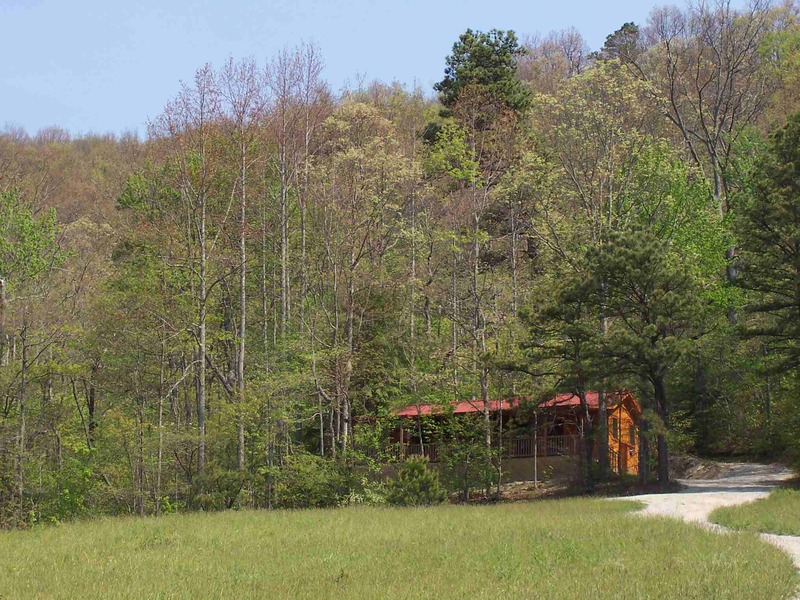 The property features a fishing pond with a picnic shed and fire pit, access to Clear Creek (state trout waters), and a hiking trail. We are near (8 to 30 miles) Asheville, Hendersonville, Chimney Rock and Lake Lure. Area attractions include hiking, horseback riding, boating, waterfalls, biking, scenic drives, music, live theater, restaurants, wineries, breweries, and much more. Cabins are 1 Bedroom, 1 Bath, Sleep 2. We also have a restored Farmhouse on the property. 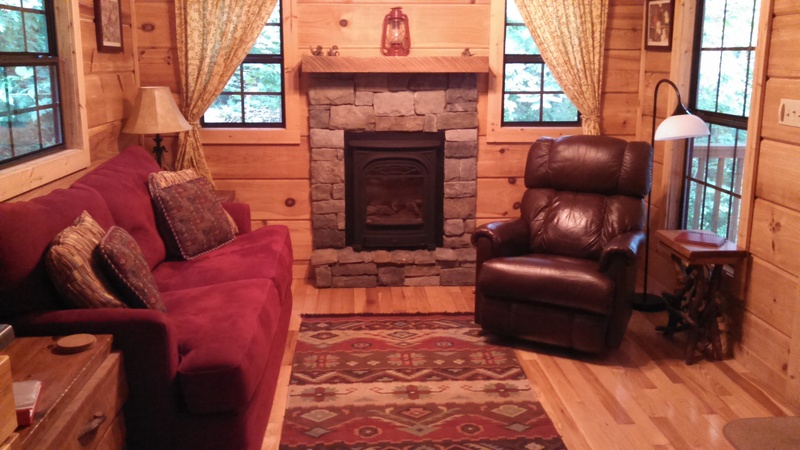 A North Carolina Mountain vacation getaway, Clear Creek Cabins appeals to those looking for a Smoky or Blue Ridge Mountain getaway, a Hendersonville NC cabin rental, Asheville area cabin rentals, or a quiet cabin rental near Chimney Rock or Lake Lure. 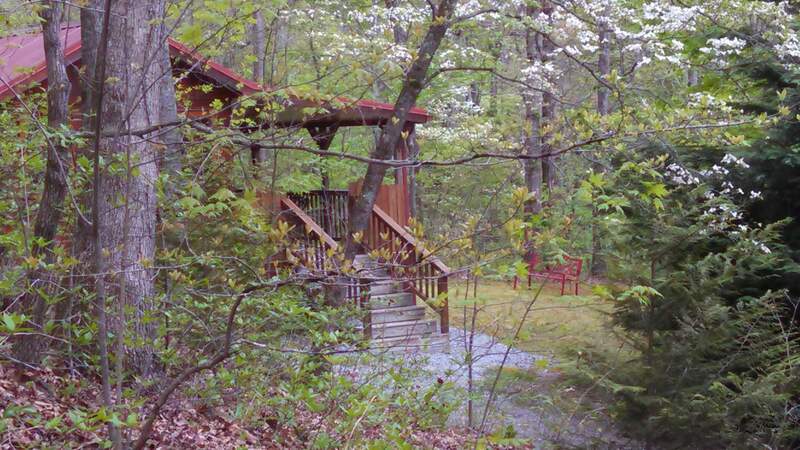 Located in the mountains of Western North Carolina (WNC) and complete with a hot tub, fireplace (gas log), outdoor gas grill, and rockers on the covered porch, a cabin getaway at Clear Creek Cabins will be memorable. We also have a refurbished Farmhouse on the property that sleeps 4. Our 20 acre country property is perfect for a retreat – indeed some guests don’t even leave the property during their stay. Others take advantage of the abundant hikes in the area, excellent restaurants in nearby towns, wine tastings at local vineyards, local breweries and cideries, and and a myriad of other activities. Our property is approximately 20 acres, half of it wooded. We have a pond which you can fish in, and a walking trail. A picnic shed is next to the pond and some cabins have their own picnic shed. Across the road is over an acre that adjoins Clear Creek, which is state trout waters. We have two communal fire pits, one near the pond and one near the creek. 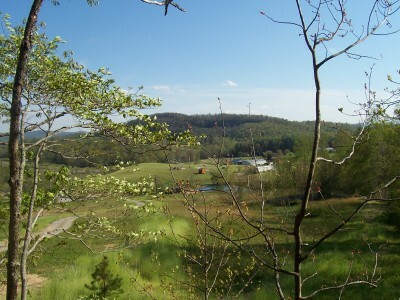 There are neighboring farms on either side of us, and the back of the property is bordered by miles and miles of woods. Part of the property is farmed and you are welcome to pick produce or sunflowers in season. Clear Creek Cabins is owner operated. Kaye will meet you at your cabin at check-in and tell you about the best local restaurants, hiking areas, local wineries, breweries, and cideries, as well as your cabin’s amenities, and more (nearest grocery, scenic drives, etc). David is our expert on local farm products, curly willow wreaths, and fishing (and he grills up a great BBQ! ).